By assigning databases to subject categories, you're providing patrons with another way of discovering relevant resources from your A-Z Database List. On the public A-Z Database List page, patrons filter the list by subject to see all databases assigned to that category. If a database is assigned as a Best Bet for a that category, they will be highlighted at the top of the list. This helps patrons easily discover the top resources for a particular subject area. Your individual subject pages will include a tab that lists all databases assigned to that subject. If you have CMS and are using the LTI Automagic tool, users will be able to see a list of related databases to matched subject categories. 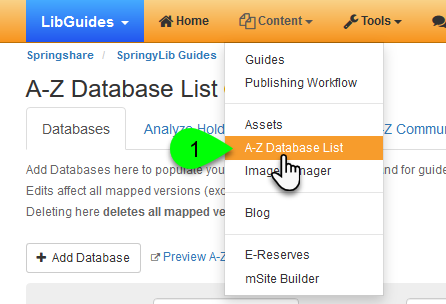 To view which subjects are assigned to databases (and which databases are best bets), you can filter the admin view of your A-Z Database List. 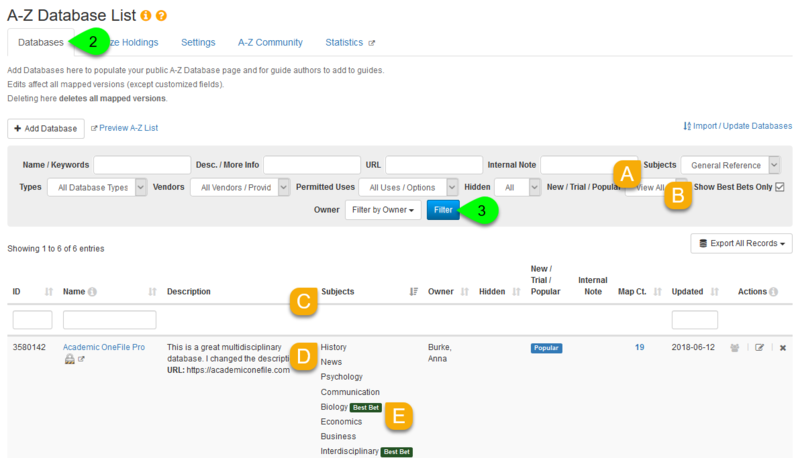 Under the Databases tab, use the filters at the top of the page to narrow the list by subject. 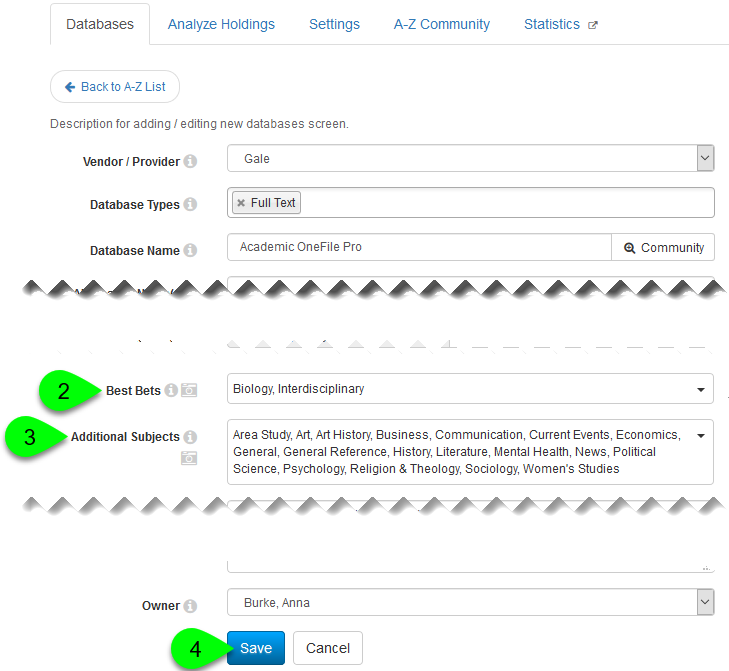 Use the Subjects dropdown to view databases assigned to a specific subject category. Select the Show Best Bets Only checkbox to only show databases assigned as a best bet. Click on the Subjects column heading to sort by that column in ascending order. Click it again to sort in descending order. Each category assigned to a database will be listed in the Subjects column. If a database has been assigned as a best bet to a subject, a Best Bets label will appear next to that subject. Click on a database's edit () icon in the Actions column. While on the database's Edit page, use the Best Bets dropdown to add or remove subjects as best bet assignments. 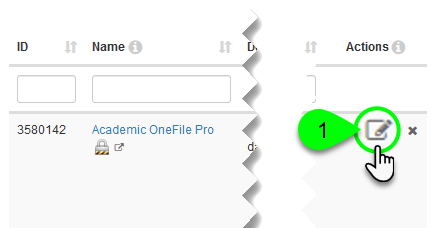 Use the Additional Subjects dropdown to add or remove general subject assignments. Scroll down to the bottom of the page and click on the Save button.